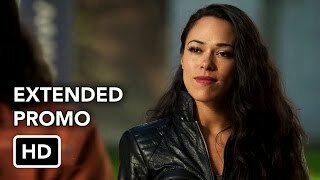 The Flash 3×11 “Dead or Alive” Season 3 Episode 11 Sneak Peek – H.R.’s (Tom Cavanagh) past catches up with him when a bounty hunter with vibe powers named Gypsy (guest star Jessica Camacho) arrives in Central City to bring him back to Earth-19 to stand trial for his crime. It turns out inter-dimensional travel is illegal on their Earth. H.R. 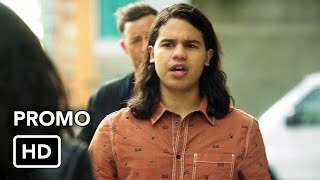 surrenders but when Barry (Grant Gustin) and Cisco (Carlos Valdes) find out that H.R.’s only hope would be to challenge Gypsy to a fight to the death, they intercede and Cisco offers to fight Gypsy instead. 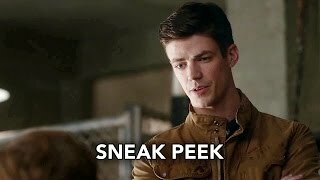 Harry Jierjian directed the episode with story by Benjamin Raab and Deric A. Hughes and teleplay by Zack Stentz (#311). 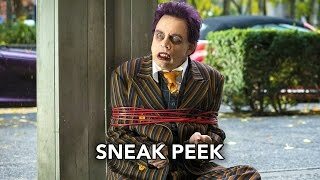 Original airdate 1/31/2017.